﻿ Ethiopia 2015 - Intense colours amplified by dust at sunset in Hamedila, Ethiopia. This is the nearest village to the Dallol salt volcano. 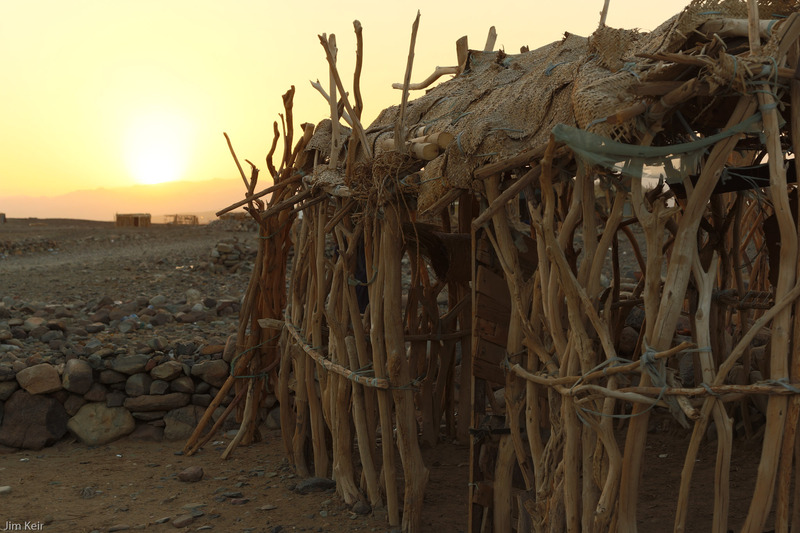 The basic hut is built from old woven mats and scavenged sticks. Finally got to Erta Ale!